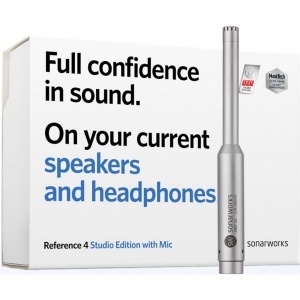 Sonarworks Reference 4 corrects for your room and removes unwanted coloration from speakers and headphones. Sonarworks started in 2012 when two music lovers met a scientist. A perfect storm of acoustic expertise and passion for good sound became the software that is currently transforming sound monitoring for mixing and mastering engineers in statement studios and for passionate audiophiles at home. Every member of the Sonarworks team makes sure that the progress behind their Reference 4 and True-Fi products constantly marches onward with regular updates, enhancements and support.